Click on the image below to open full size image. 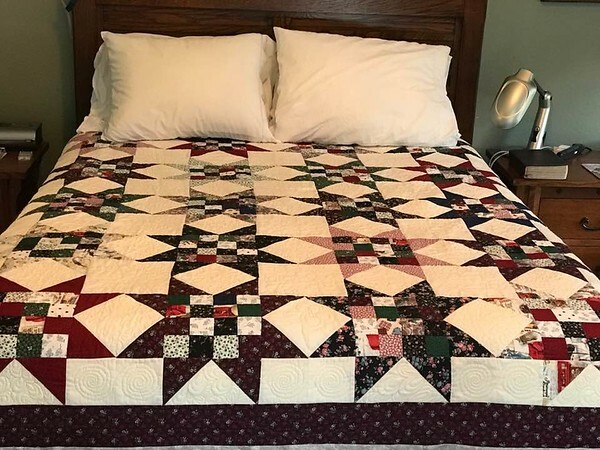 First quilt I made, made with old Brother/Babylock sewing/embroidery machine in Summer of 2016, and quilted on same. Given to Hannah and Daniel July 2018.